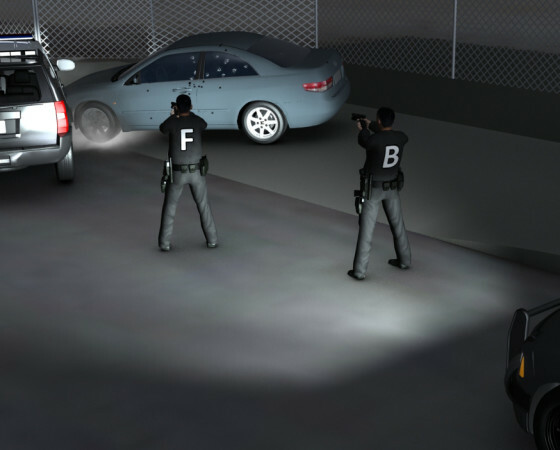 Liquid Pictures was recently hired to develop a series of animations showing how the perpetrator was using his vehicle with deadly force for a southern California city police department. Throughout the series of animations it is made clear that the perpetrator had plenty of opportunity to drive away but chose to engage with his vehicle, using it as a deadly weapon, leaving the officers no choice but to try to protect one of their own. Visually showing this officer involved shooting situation allowed the parties involved to settle out of court.